Many of the bookworms among us love to keep track of the books we read. Whether it's through GoodReads challenges, spreadsheets, pages in bullet journals, or just a vague recollection of the books we've read most recently. But there's one question I've seen pop up a few times now: does fanfiction count? I think the real question is, why wouldn't it? The lines between fanfiction and literature have become increasingly blurred with the advancement of technology. Nowadays there are as many self-published books as there are traditionally published. A lot of them are only available as ebooks and plenty are available for free, so it isn't the absence of a physical book or the backing of a publisher that makes people question the validity of fanfiction, unless they also question the validity of these self-published ebooks. Many fic writers spend months crafting intricate, novel-length plots, just like writers of original fiction. Many fics go through a process of editing too, with the help of beta readers, just like self-published and traditionally published novels. So is the difference only that the characters in fanfiction are borrowed? What about Death Comes to Pemberly and Pride and Prejudice and Zombies? What about the countless further tales of Sherlock Holmes? These can be traditionally published because the original stories that inspired them are now in the public domain, and their authors no longer need to be protected from plagiarism, but when you put aside those all important copyright laws are they really any different to the 80,000+ word Harry Potter fanfiction you can find online? These books are fanfiction too, and it isn't anything new. For as long as humans have been writing things down, and even before that, they've been adapting stories they heard before. 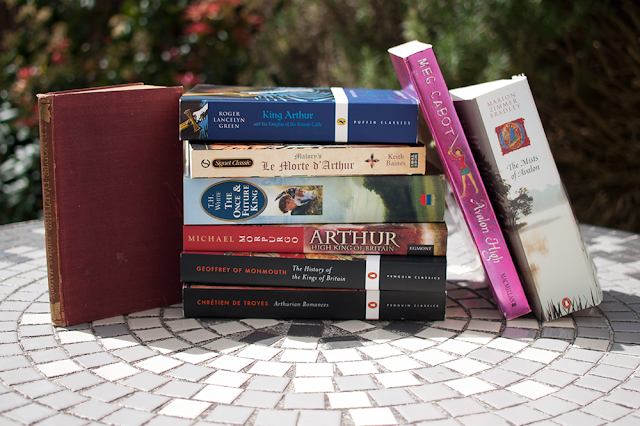 You only need to look at the literally endless versions of the tales of King Arthur. Even the earliest written stories of King Arthur are adaptations of the stories that people used to tell each other face to face. Fairytale retellings aren't going away because they've always been here. The Brothers Grimm didn't write Cinderella, they just wrote down their own version of it. As long as people have told stories, they've been writing fanfiction, changing the endings of fairytales, adding their own characters, making up continued adventures for their favourite heroes. Maybe it is time to start counting fanfiction because, whether we know it or not, we already are.